Another fun cross country event in the beautiful Heaton Park. 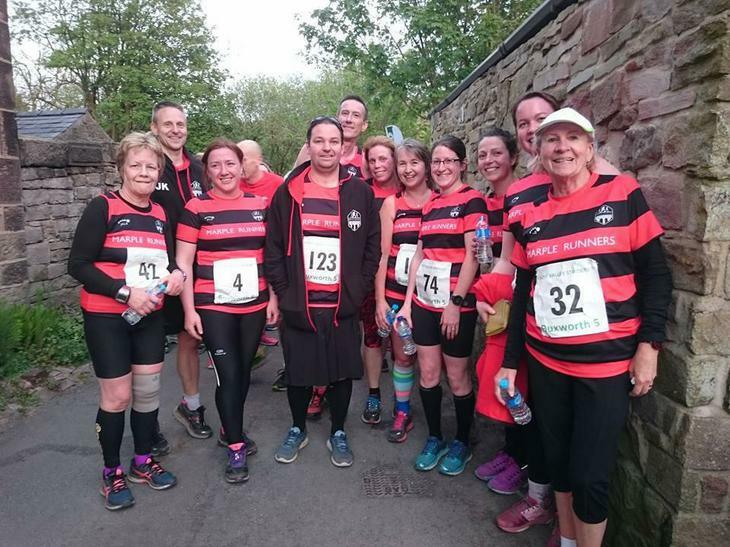 Last night saw the last in the fantastic Foodbank race series expertly organised by our friendly neighbours at Bramhall Runners. 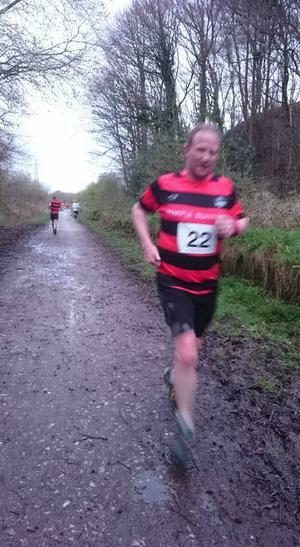 22 men and 17 women took on the 171 strong field, braving the slightly wetter and muddier course than the last 2 races and perhaps even the river crossing was a little deeper. That's almost 23% of the whole field in Red & Black stripes (think we can call that well and truly Menaced). 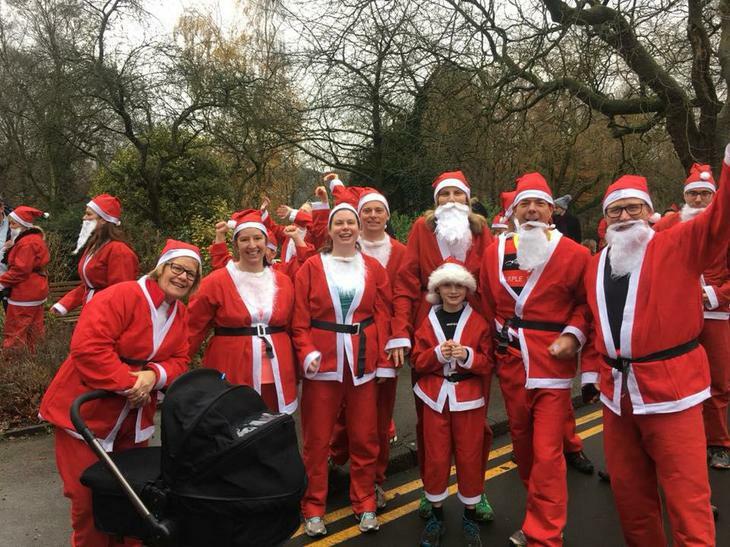 Of note, as well as our usual contenders, were at least 3 of our latest Pub 2 parkrun team; who now seem to be regularly enjoying training and racing with us and proudly wearing their new kit. Kieran completed a full series of races in the junior race and this time bravely took on the river crossing rather than the stepping stones to finish 6th overall even if he did end up sat in the river after a minor incident on entry. What a fabulous way to start a race, watching the Whaley Bridge carnival before Nick, Alex, Jeremy, Martin, Nadine, Cathryn and myself lined up at the start! Lots of support from the crowds cheering us on as we made our way through the village and off into the hills! It was a scorching day and was thankful to find some shade in the woods. After the climb up the hills was a lovely surprise to see our photographer John up there taking our action shots! We made our way back down the hills towards the village and was greeted by our very own cold bath waiting for us. Most people took a running jump and someone kind of didn't! ( it was a little shock for a moment when the river came up to my middle ha ha ! ). No urgent need to get changed as was bone dry by the time I got home ha ha! I highly recommend this one, was great fun! Give it a go next year! 5 male & 2 female members decided that yesterday was a good day to run 10k in the open sunshine at 28 degrees. The ideal course for PBs but far from ideal weather conditions for attempting it. There was a good warm reception from Run North West and there on site shop where a few athletes took advantage of the discounted goods. A very hot run for all involved and some sensible performances from all involved. 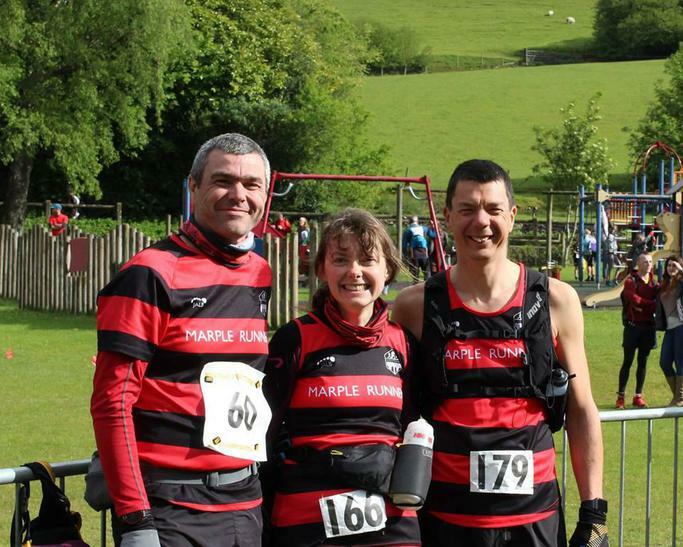 Well done you bunch of hardy 'soles' after all the recent hard work at races both during the week and at weekends. 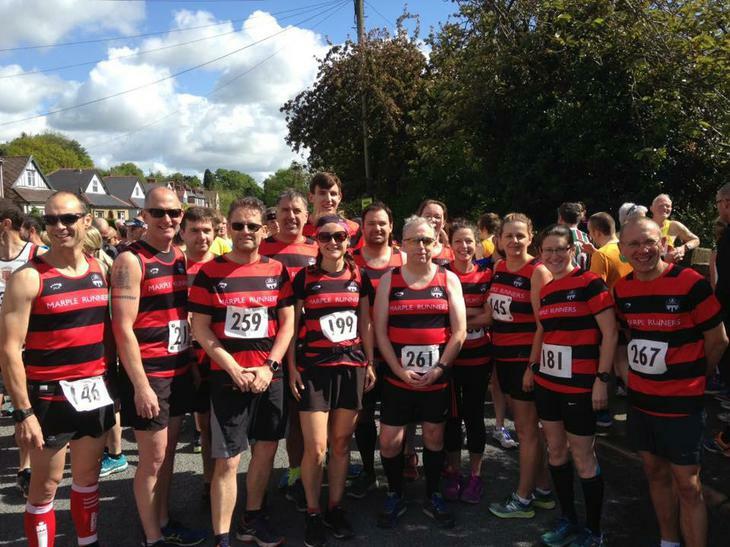 20 members decided to make the Offerton 10k start list a little fuller this evening: making up over 15% of the total field. It's been noted lately that rarely do we turn out less than 10% of the field in most local races! 9 ladies and 11 men braved the Vernon Park climb on no more than 3 occasions. Anna Ashton, once again, came home with the female V55 1st prize - well done Anna. 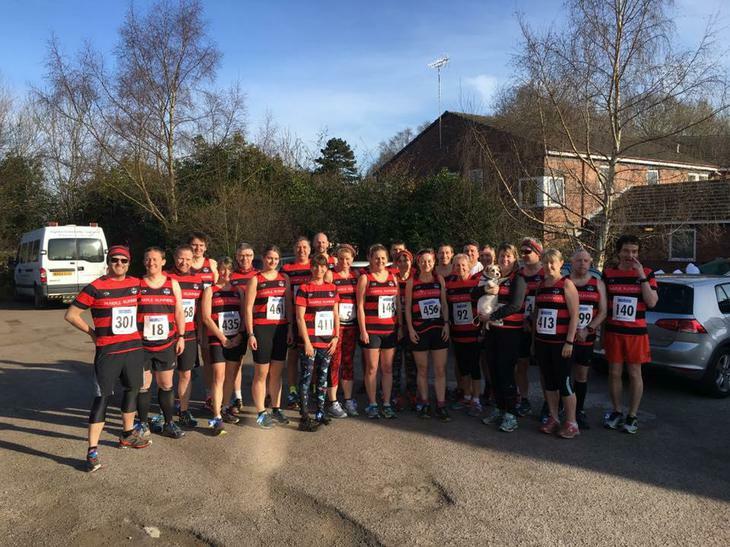 The Men's team took 2nd place and Cathryn Melia ran an super 10k pb even on that hilly course - amazing achievement. Well done to everybody involved. Next Champonship race is next Wednesday at Foodbank Series in Bramhall. 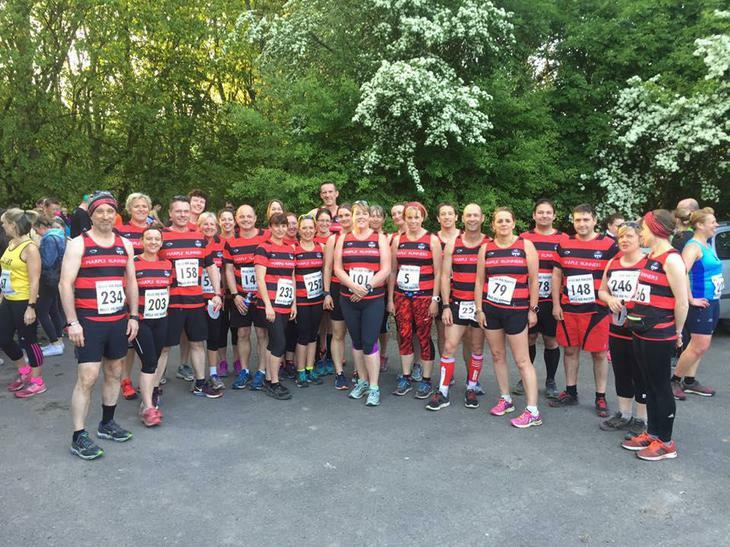 20 members decided to make the Offerton 10k start lista little fuller this evening making up over 15% of the total field. Its been noted lately that rarely do we turn out less than 10% of the field in most local races. 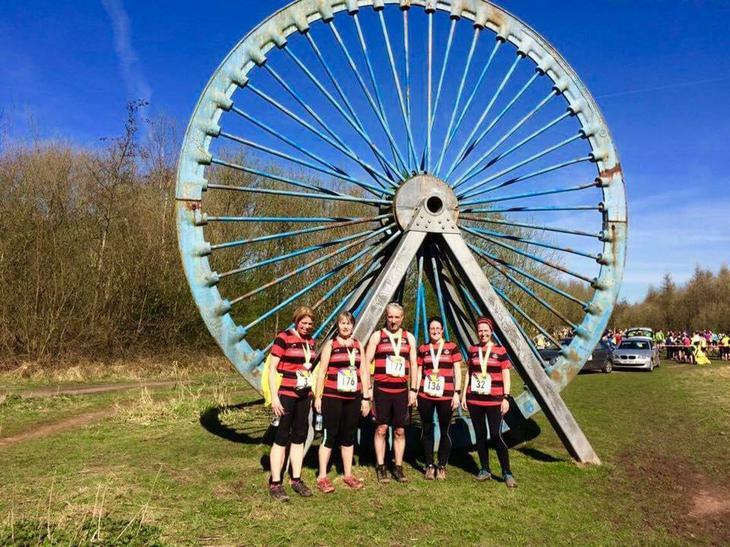 9 ladies and 11 men braved the Venon Park climb on no more than 3 occasions. Anna Ashton once again came home with the female V55 1st prize. Well done Anna. The Mens tean took 2nd place. 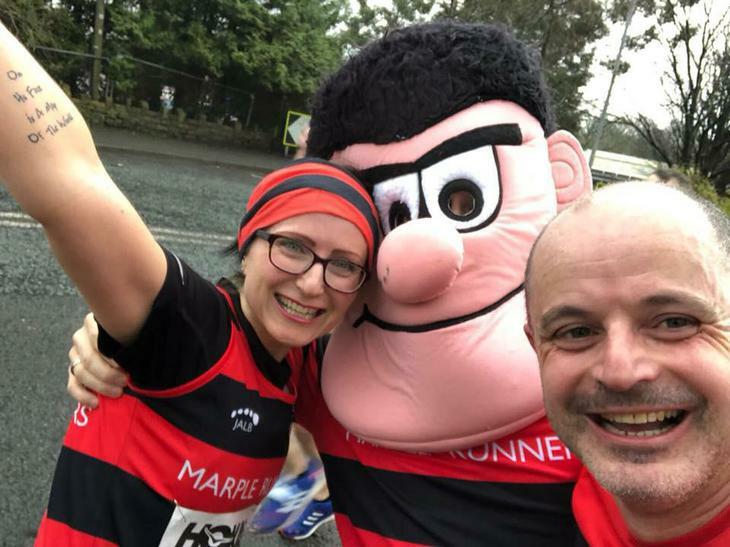 Cathryn Melia ran a 10k pb even on that hilly coarse (amazing achievement). Well done to everybody involved. Next Champonship race is next Wednesday at Foodbank Series in Bramhall. See you all there. What a fabulous way to spend the Bank Holiday in the beautiful countryside village of Bamford. We watched the sheepdogs chasing the sheep around the fields and wandered around the tents where people were selling their local products before we started the 4.5 mile race. A few of us menaced this fell race, Jeremy, Sarah, Fay, Alistair, Tony and myself. We took on the challenge of climbing up Win Hill through the woods and fields. It was well worth the effort when you finally get to the top and have such stunning views all around you! Wow! The descent back down the other side was quite steep and needed to take care for a short while. I was in my own and then came to a fork in the path and had to choose whether to turn left or right. The colored tape marking the route was unfortunately in the middle of the paths and I ended up taking the wrong turning in the woods and extending my route into the fields . After not seeing anyone for a while, I was greeted by walkers who told me I had gone the wrong way and needed to go back up the hill to the correct path! Around about an extra 20 minutes was added to my time and I was placed third last! Thoroughly enjoyable day out and very scenic, gorgeous race I would highly recommend to anyone. Photo courtesy of Elanor Swan - thank you! Photo courtesy of Sarah Stutchfield - thank you!